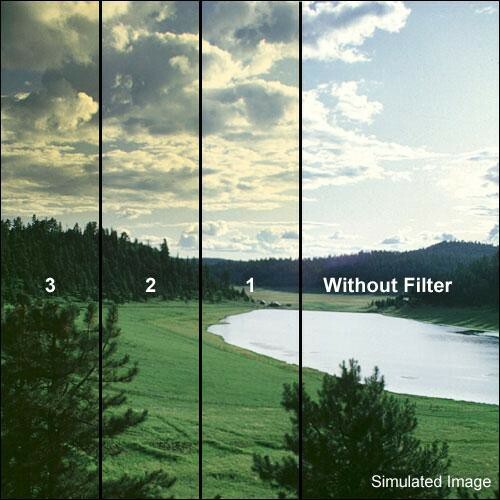 Formatt Blender Filters are for those who enjoy outdoor, scenic or architectural photography, Blenders are the perfect choice. Whether trying to affect color change or enhance a mood, Blenders give you the edge you need. Produces a more surreal image and can be used for "dreamy" shots. Blenders resemble traditional graduated filters except that they are colored on top with a gradual transition to more subtle at the bottom. Graduated filters transition somewhere in the middle of the filter. Horizontal/Vertical indicates the direction of the graduation.